It Works For Me. Jen Gilroy Shares Her Personal Writing Rules. 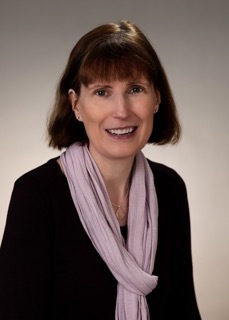 This week I am delighted to welcome my good friend Jen Gilroy to my blog to share her personal writing rules with us. Jen's debut contemporary romance, The Cottage at Firefly Lake, will be published on January 31st 2017, but readers of this blog will have the chance to win an advance reading copy. It's the first time my blog has had a giveaway and I'm possibly even more excited than Jen! Thank you, Susanna, for inviting me to guest on your blog. I’m delighted to be here and have followed your “writing rules” series with great interest. It’s been lovely to learn from so many other writers I know virtually through the Romantic Novelists’ Association (RNA), or whose books I’ve enjoyed. When you asked me about my “writing rules,” I wondered if there was anything new I could say. However, as I thought about it (and you reminded me! ), this series is about sharing our experiences and recognizing commonality. After all, if we have similar rules, “we must be doing something right!” For me, though, it’s also about celebrating and learning from our differences, and I’m delighted to add to this dialogue. Although my writing rules have evolved over time, my approach to writing as a newly contracted author is much the same as it was when I started on my writing journey. When I began writing towards publication, I was focused on craft. Whilst dialogue has always been more instinctive (possibly because I’m a shameless eavesdropper), I struggled with how to develop impactful, emotionally-driven conflict, to show not tell, and to master point of view. As such, I took online courses, read multiple craft books, and learned from my RNA New Writers’ Scheme (NWS) critiques, and conference talks. Although I’m still working on craft, as my writing career has developed, learning about “how to write” has been supplemented by education about the business of writing—first, the rules of querying agents and editors, and now publishing trends, and the author as small-business owner. Although writing is creative, if I waited for inspiration to strike, I’d never finish a book. When I first started writing, I had a full-time day job with international travel. I also had a young child, and a husband who travelled for work too. I didn’t have the luxury of time to write so I had to schedule it and give up other things in the process. Although I’m woefully ignorant of what’s happened on television in the past seven years, I’m proof that it’s possible to write a sellable, 90,000-word novel in daily, 250-word chunks. Now that I have books under contract, I have more writing time, but the same principle applies. I look at my deadline and work backwards, setting my daily word count accordingly and in the context of what else is happening in my life. I also schedule the other aspects of my writing life—social media, and marketing and administration—outside my most productive time for getting words on the page. I’ve wanted to be a published author since childhood, but it was only in February 2009 that I started working seriously towards that goal, and set SMART (specific, measurable, attainable, realistic, and timely) goals along the way. 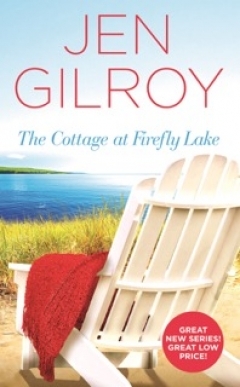 It took six and a half years, multiple manuscripts, and numerous rejections before my agent called to tell me that she’d sold what is now my first book, The Cottage at Firefly Lake (releasing 31 January 2017). Although I persevered to reach my big goal, I got there in part because I set a multitude of small goals. Those small steps in my writing journey included submitting manuscripts each year to the RNA NWS for critique, entering writing contests, and becoming active on Twitter to connect with other writers. I spent many years in the corporate world, and although the rules for writers are different, writing is still a business. Even though I now go to work in my joggers and fuzzy slippers, I try to act as professionally as I did when I was entrenched in the 9-5. That means I honour commitments, meet deadlines, and am mindful that as an author I’m a public figure—what I say on social media reflects not only on me, but on my agent and publisher, too. It’s also important to be yourself or, as Kate Field said in an earlier post in this series, “know who you are as a writer.” When I write from my heart, not only does the writing flow, but I’m authentic to my readers, too. Writing is hard work both physically (aching back anyone?) and emotionally. We put bits of ourselves into everything we write, and if we’re writing towards publication, we’re opening ourselves up to the pain of rejection and negative reviews. It’s thus important to celebrate every success, large or small. I have a writing charm bracelet, and each time I look at those silver charms jingling on my wrist, I’m reminded of milestones in my writing journey. I’m grateful for the blessings writing has given me, especially friends I cherish. Although writing is solitary, a writing career is not. Many people helped me get where I am today, and my most important writing rule is to pay it forward. Kindness and encouragement cost nothing, and you never know when you can make a meaningful difference in another writer’s life. This giveaway runs from Saturday November 19th to Thursday November 24th. I will pick a winner at random on Friday 25th. This giveaway is open internationally. If you win, you will need to share your postal address with Jen and me, so that Jen can send you the book. Good luck! Lovely blog and some very interesting points. Good luck and congratulations on the book launch! Thank you, Jan, for commenting and for your good wishes. It touches me that my post inspired you. Maybe you'll start a writing charm bracelet of your own! The title of my book comes from my publisher but I'm delighted with it. Titles aren't my strength! Thanks for visiting my blog, Jan. Your support is always appreciated. I'm so pleased you enjoyed reading Jen's writing rules. Yes, the idea of the charm bracelet is just lovely, isn't it? This writing rules series is very popular and Jen's contribution seems to have resonated with lots of people. This is such an inspirational post, Jen. Thank you Sue for sharing another writer's rules. Your comment about social media and how posts should reflect you as a professional person is so true. I love the idea of your writing charm bracelet. Congratulations on the imminent publication of 'The Cottage of Firefly Lake' - what a great title! Thank you for visiting and commenting, Wendy. I'm glad I was able to give you some encouragement & it's lovely to hear from an RNA NWS member. The NWS was such a huge help to me, and I'll always be grateful for the generous and supportive reviewers who critiqued not only my manuscript that sold, but several others that didn't. I hope your manuscript finds a wonderful home and you're soon celebrating your debut release...with a charm perhaps?! The bracelet works well for me because it's both motivating and a tangible reminder of 'steps' large and small in my writing career. I'm so pleased you enjoyed Jen's blog, Wendy. I agree with you about the charm bracelet. You need to get one, so you are ready for when your book finds a publisher! I'm glad you found Jen's words encouraging. She seems to have struck a chord with a lot of people. Thanks very much for reading and commenting, Rayn. I'm glad my post helped lift your spirits. I've had many of those "isolating writing" times myself and appreciate how tough they are. Thanks for your good wishes about my book, too. I expect to be excited about reading your debut release someday! Wow! So many lovely comments in support of Jen's wise and comforting words about writing. Many thanks, Rayn, Jennifer, Sara, Tracy and Arlene. I think the main thing that has come out of Jen's guest blog is that writers take heart from the 250-words-a-day target that Jen lived by and from which her success grew. Jen is such a good friend to me - I am delighted that her blog has resonated with so many people. Thank you all for commenting and sharing your thoughts. Fantastic post Jen! I so love this line: "Although writing is solitary, a writing career is not. Many people helped me get where I am today, and my most important writing rule is to pay it forward." Thanks for this. I was having one of those isolating writing nights, and this lifted my spirits! All the best on your upcoming release! I can't wait to read it! Thanks for stopping by and commenting, Jennifer. I'm glad you found my suggestions helpful. I appreciate your good wishes, too. You're right, Jen, if we all use similar rules, they must work! Great suggestions. And I'm so excited for your book to come out--can't wait to read it. Congratulations! Thanks for visiting Susanna's blog, Sara, and welcome to another Golden Heart sister (and debut author). Setting a daily word count goal really helped me and keeping it small made me feel it was manageable so I didn't have a sense of 'failure' before I'd even begun. I could write 250 words in my lunch hour at my day job and that gave me a huge sense of accomplishment. If the writing flowed, I sometimes wrote more, but even a few words kept the story momentum going. Also, if I wasn't having a good day in the corporate world, dipping into the world of my book was a pleasant antidote! What a wonderful surprise to 'see' you here, Tracy. Thanks for visiting Wales (virtually) and Susanna's blog. I'm happy I was able to give you some encouragement. Scheduling didn't come easily for me at first, but once I saw the words increasing it got easier. As for eavesdropping, I consider it research, but my family has a different view! Thanks for commenting and sharing my journey in writing and life, my Golden Heart sister. Great advice, Jen! I definitely struggle with time to write around my family and my corporate career, so I need to follow your advice and stuck to a daily goal, even if it's only 250 words some days! Thanks so much, Arlene. I really appreciate your kind words. It's also special you quoted some dialogue from the first chapter of THE COTTAGE AT FIREFLY LAKE in your comment. I hope you enjoy my book and am blessed to be sharing this journey with you my Golden Heart sister (and debut author of a fabulous romance yourself). Thank you, Heidi. I'd never thought about my 'writing rules' being 'life rules' too, but indeed they are. I appreciate you stopping by and commenting. So happy to see you here on Susanna's blog. Love you admitting to be a shameless eavesdropper. Thanks for the encouragment. I need to do better at scheduling writing time - and limiting the TV and social media time. Okay, and gaming. Dang Bejeweled and other games I did remove. If not for them, I'd be on book 8 by now. Jen, I know success is right around the corner for you. You have a great work ethic, and you're extremely disciplined. On top of that, your writing flows beautifully and makes the reader stop and think. I cannot wait to read Firefly! Those words; so eloquent. Ahhhh. . .
You make a very good point, Heidi. The same positive attitude that writers try to have to their work can also provide a good guide to the best way to tackle other aspects of life. I especially like Jen's "rule" about paying it forward, which is definitely a good rule to follow in life. Thanks for sharing your thoughts. I LOVE how your writing rules apply to not only writing a successful novel, but also to everyday life. Setting goals, being realistic (and perhaps most importantly) choosing gratitude are cardinal points to remember if we wish to live our lives to the fullest. Sage advice- thank you! How lovely to hear from you, Kate. I'm sure Jen won't mind my saying that she was a bit wary about writing this blog in case she had nothing new to contribute to the subject, but I told her that it was simply about sharing work practices and part of that meant showing that writers have lots in common, which in itself is reassuring when on the whole we lead such solitary working lives. I'm so pleased that you found things to identify with; and I'm sure that the 250-words-a-day bit will lift the heart of many a writer. Thanks for your comments, Kate.